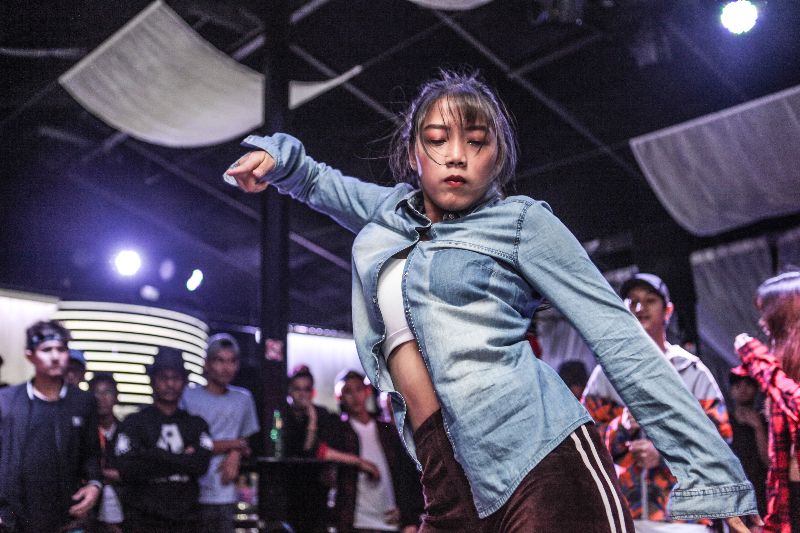 In Myanmar, the street dance industry is growing up. It is becoming more and more popular with young people, although it still has a long way to go to win over the wider sections of society, said Henry Chang, a 29-year-old Taiwanese who works as both a street dancer and teacher in Yangon. 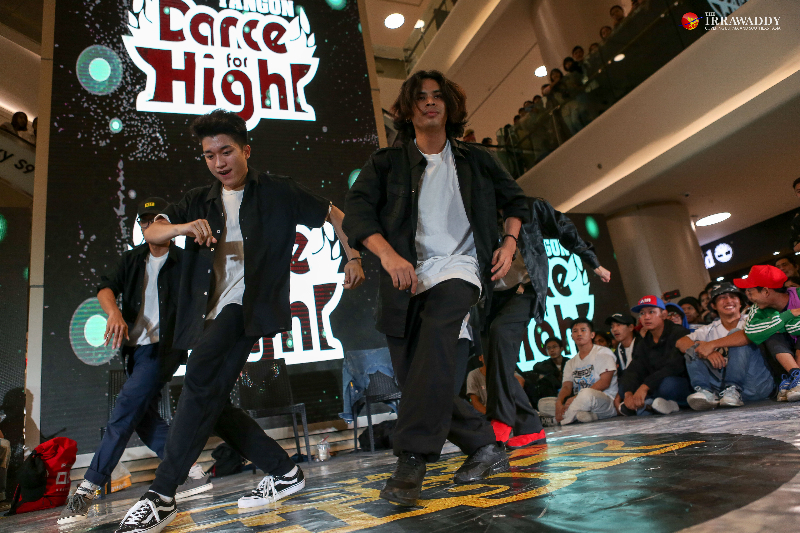 Chang recently organized the second edition of a dance competition, “Yangon Dance for High,” which drew a big crowd to Yangon’s Junction City on July 29. “It was bigger and more people came (especially the younger ones) this year. It went from 30 to 50 contestants, which means that more people are interested in street dance and that next year it will grow more,” Chang told The Irrawaddy. YDFH is the local version of an international dance competition that started in Taiwan and is aimed at helping young people in Myanmar develop their dancing skills. 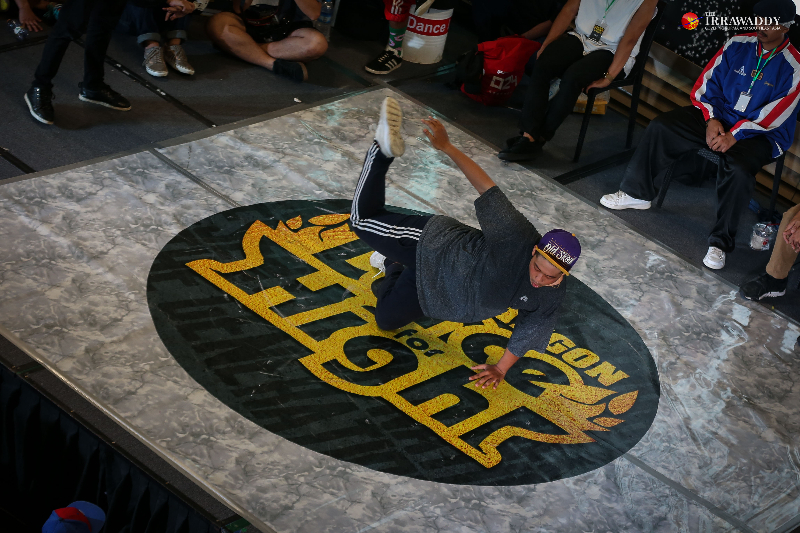 Contestants competed in different dance styles including hip-hop, house, breaking, locking, popping, and waacking. There were three judges, two from overseas: Andrew Agame from the US, who dances house and breaking, and the other from Taiwan, “TSZ”, who is a part of a well-known dance crew — IP Lockers. The last judge, Falcon, is from Myanmar and a member of the Massive Souls dance crew. The contest had two different categories: Open side and Young Side (for those aged under 22). The winners will go to Taiwan in mid-October as the representatives of Myanmar. “The judges chose one winner from each category based on musicality, dance techniques and other dance-related factors,” Chang said. Speaking at the event, Agame said he saw potential for street dance to grow in Myanmar. “I taught a few classes at the Dance Camp before this event and I saw a lot of students who are really trying hard and they have passion. I’m so happy to be a part of this event and I would like to see more street dancers in the future,” he said. 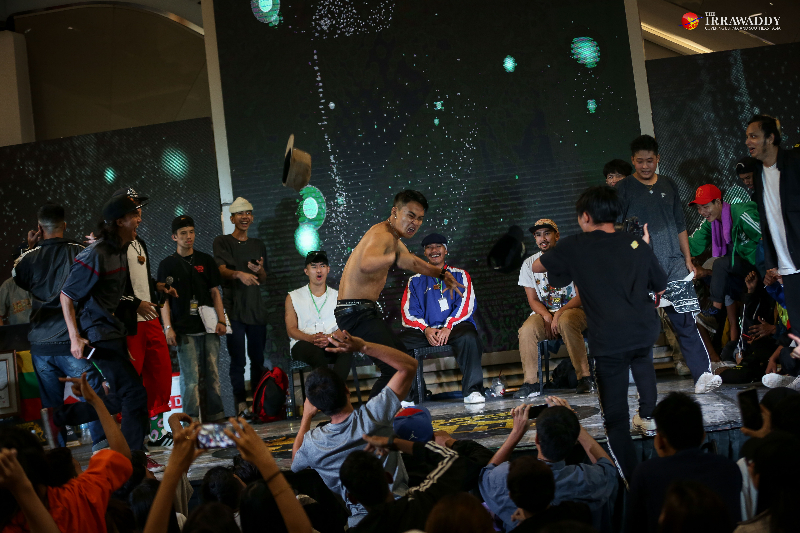 The event drew a big crowd with two Yangon locals emerging as the winners: Thant Zaw (Open side) and a dancer known as “Bboy GB” (Young Side). 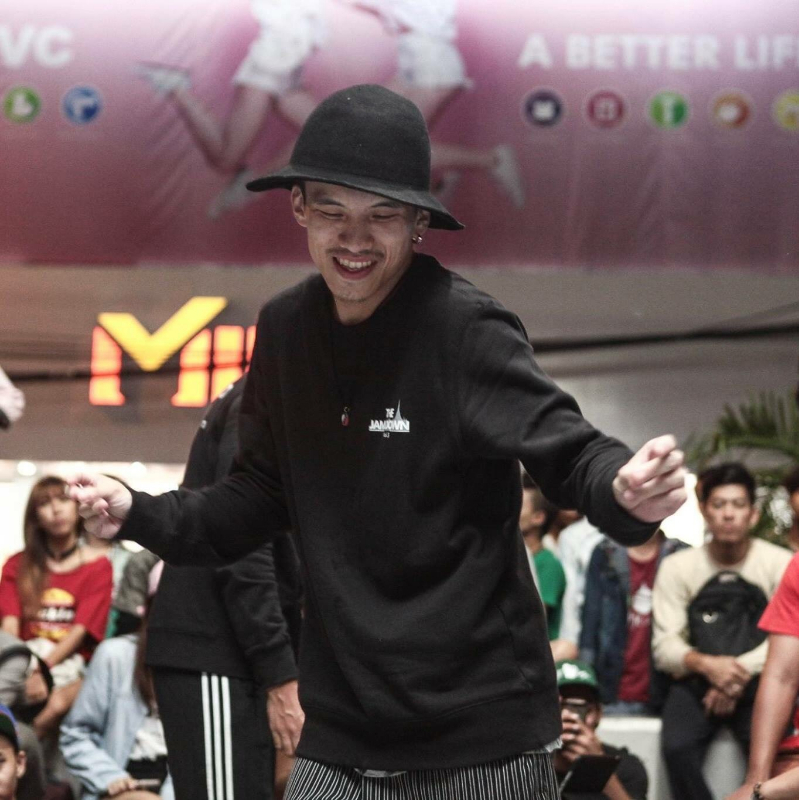 “A lot of dancers in Myanmar worked hard to make this event happen and I’m just one of them,” Chang said, adding that he felt the event had made encouraging progress since last year. Last year’s event took place in August at ‘The Vibe’ bar and it was combined with “Youk Shi”, a local underground concert series. “Last year was the first time and it was a bit difficult. I decided to bring this competition to Myanmar to support the street dance community here but it was a bit rushed. We got only two months to prepare for the event,” Chang said. Even though street dance is popular among young people, their elders still find it hard to accept the culture. “It is true, older people have a hard time accepting street dance culture in Myanmar because they haven’t grown up with it,” Chang said. Apart from that, another struggle is that the street dance market in Myanmar is still at an early stage of development and it is hard to just “do dance” for a living as the wages are low, he said. Chang has been living in Yangon for five years. At first, he worked as a restaurant manager at his uncle’s shop, then he became friends with local street dancers and that was the beginning of his teaching career. “A few years ago, I met with some local street dancers and found out that Myanmar doesn’t have a locking dancer. I’m good at locking and I thought of it as a chance for me to find more opportunities. Then, I became a street dance teacher,” he recounted. In the street dance community, there are two kinds of people, he said. One is the dancer on center stage and the other plays a supporting role. Myanmar is very different from Taiwan, he said, describing Myanmar people as warm-hearted and kind. Even though he is a foreigner, he still feels like he is at home, he said. Chang believes the social stratification in Myanmar is a big problem though – its rich people are too rich and poor people too poor. Chang has previously worked with an NGO and he visited some schools and places such as orphanages. 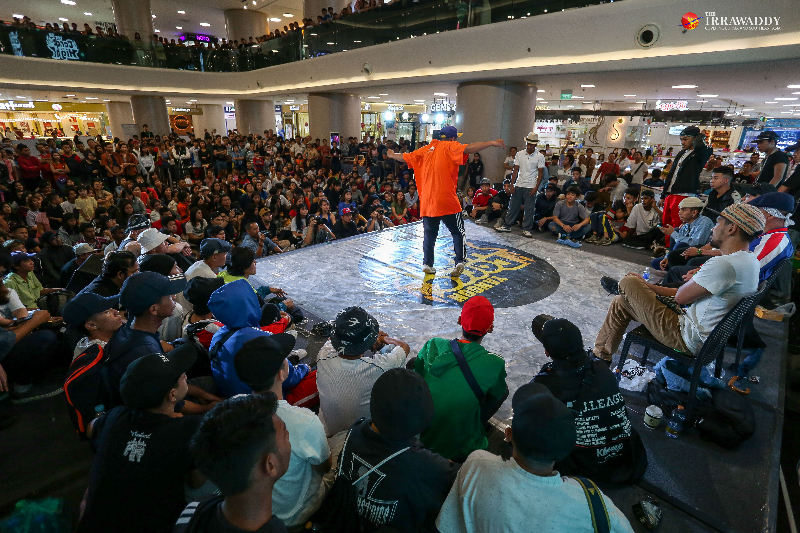 “Those kids don’t have parents and they don’t have a chance to know what is street dance. So, we used our time and energy to share that with them. At the time, they were really happy and I could feel their passion and I really wanted to do something for them,” Chang said. That is the one of the reasons that has encouraged him to stay in Myanmar, he said. Taiwan, he said, already has a lot of dancers and street dance is popular.